Oak (Owners Villa) – Sleeps 8. Large two bedroom with loft. King bed, queen bed, 4 twin beds and plenty of floor room for blow up beds and/or sleeping bags for big families. 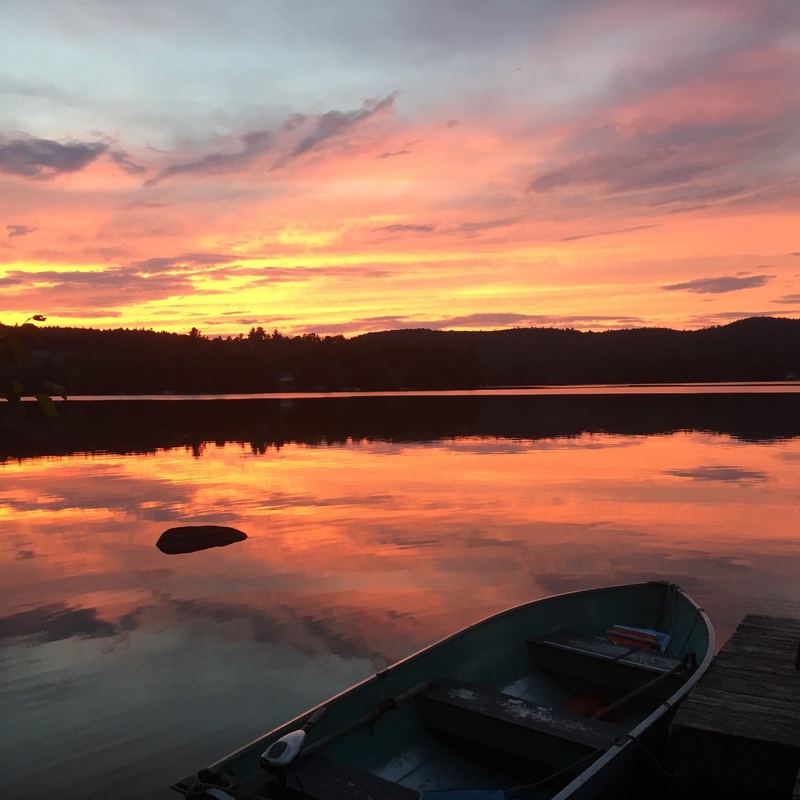 Gorgeous sunsets on Otter Pond. Photo taken from Golden Rod cottage (all cottages directly on Otter Pond with similar view. Photo not altered in any way). Georges Mills Cottages private beach. Complimentary canoe, kayak and peddle boat. 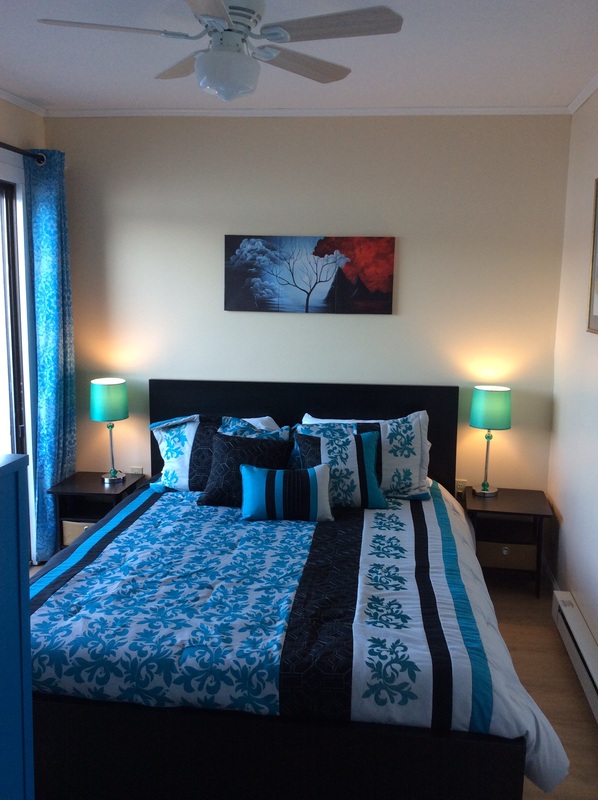 Newly renovated lake view queen bedroom in Golden Rod cottage. 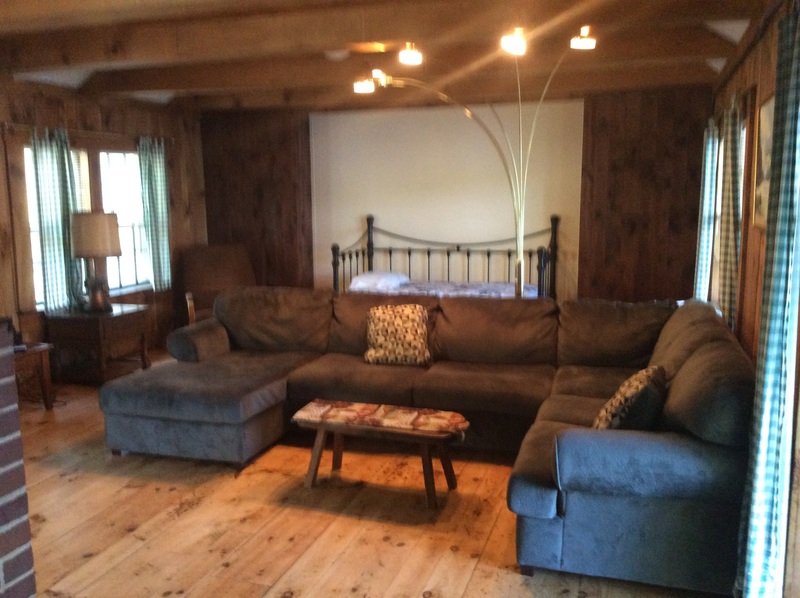 Newly renovated living room in Sugar Plum cottage. Lake Sunapee region is one of the nicest places to live and to visit. And Georges Mills Cottages is one of the nicest places to stay in the Sunapee area, best described as, rustic charm. Nestled between the shores of Lake Sunapee and Otter Pond lies the charming village of Georges Mills. We invite you to enjoy the Sunapee area of New Hampshire while you stay at Georges Mills Cottages. 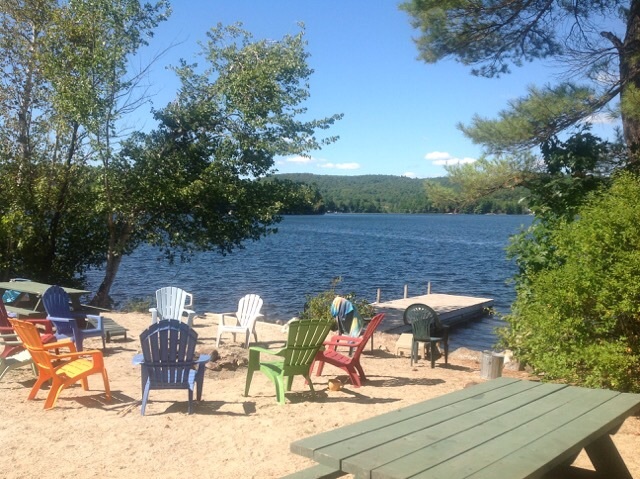 We offer year-round lakefront family lodging featuring comfortable cottages and apartments. Come swim, sail, fish, ski and skate with us. Enjoy our peaceful lakefront views and all-season recreation … right from your doorstep! All units have living room, dining area, full kitchen, and bathroom. All cottages have a screen porch; other units have balconies overlooking Otter Pond. We provide sheets and towels (but not beach towels), pots and pans, dishes, glasses, and silverware. Kitchens have a refrigerator, stove with oven, also a microwave oven, toaster, and coffee maker. All units have TV and VCR or DVD. There is a private sandy beach and four docks. Guests are welcome to use our rowboats, paddle boats, and canoe. What is the average long term monthly rental fee for your cottages and do you accept small pets? I emailed you rather than post on the page. Apparently you did not receive it so here is the answer. Typical rent is $950 plus utilities. Yes to pets. What do you have? What is your timeframe? Please contact me at SpecBowers at gmail.